We have a winner! Clebson (Moreno) and his artwork (#08). You can download the package with different sizes and formats of the winner image here. 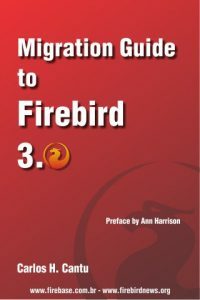 To support MindTheBird (global Firebird 2.5 release) campaign, FirebirdNews is running a contest for logo/artwork to celebrate Firebird’s 10th anniversary! The winning artwork may be used in sites, banners, gifts, etc. all around the world. Submissions will be accepted until 15/March, 2010. Soon afterwards, a poll will be put on-line and people will be able to vote on the best artwork. The author of the winning artwork will receive a prize of USD 500 (donated by IBSurgeon). Artwork submissions need to be in vector format (or use good resolution – at last 300dpi) and it must contain the Firebird logo. Just to be clear, we do not want a new Firebird logo, we need an logo/artwork using the currently official FB logo and indicating the celebration of the 10th anniversary. Black/White – not grayscale (to be laser burned, grooving, etc). See note below. Authors must allow their artworks to be published in any page/site related to this contest. The winner artwork must be placed in public domain by the author, so that all the usage rights are available to anyone who wishes to use it to promote Firebird or a Firebird compatible product, including usage in non-free/commercial products and websites that may have the artwork printed/visible. Payment will be sent by PayPal so, the winner author must have a validated account there to be able to receive the prize. Submissions must be sent by email, to contest at firebirdnews.org (substitute “at” by @). This page will be constantly updated with the previews of the received artworks. PS: If you are a gfx designer that never heard about Firebird, read our paper “Get to know Firebird in two minutes“. Attention: authors who submitted the b/w version in grayscale, send a new version B/W with NO grayscale. Grooving and laser burning doesn’t allow shades of gray. The B/W version doesn’t need to be exactly the same artwork as the full color version, but they will be judged together, as a single submission.